(Bloomberg) -- Uber Technologies Inc.’s top bosses have a lot riding on the company reaching a $120 billion market value. Chief Executive Officer Dara Khosrowshahi and at least four other executives received equity awards that won’t vest until the company reaches that threshold, Uber said Thursday in a registration statement. While the filing didn’t provide enough information to estimate how large the payouts might be, the figures will presumably be, well, uber-sized. 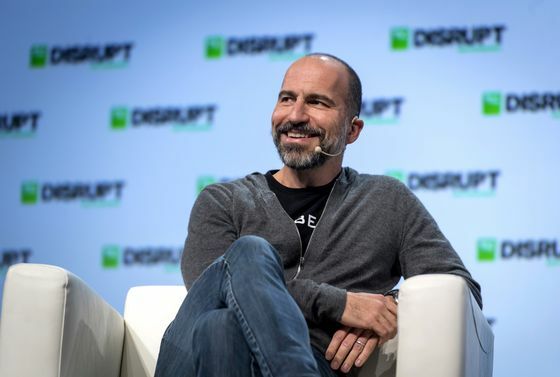 Khosrowshahi, for example, left stock options worth about $184 million when he departed Expedia Group Inc. in 2017 to take over the ride-hailing firm. Companies commonly grant new awards to externally hired executives to make them whole, on top of their regular compensation packages. Two of the executives received some awards tied to the company’s market capitalization reaching $100 billion, the filing said. On top of the market value goals, all of the grants vest over several years. In pitches last year to win an underwriting spot on Uber’s initial public offering, bankers for both Morgan Stanley and Goldman Sachs Group Inc. said that the business could be valued at about $120 billion, people familiar with the matter said at the time. Uber is currently aiming for a valuation of as much as $100 billion, the Wall Street Journal reported Wednesday, after its smaller rival Lyft Inc. fell 15 percent since it went public last month. For the biggest private technology companies, valuation expectations can change drastically in the months leading up to a listing. Snap Inc.’s market capitalization was pegged as high as $40 billion five months before its IPO, a person familiar told Bloomberg at the time. The company’s IPO in 2017 ended up valuing it at about $20 billion. Khosrowshahi received about $45.3 million in compensation last year, including personal security services worth $2 million, according to the filing. Most of his pay was restricted stock, some of which is linked to performance goals.